Do you own an office building, a restaurant, coffee shop or a grocery store or have an attic at your home? You too must take care of your building. 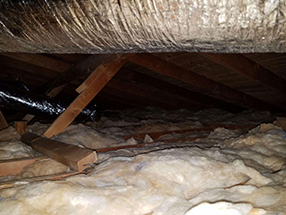 Like most residential homes, many commercial buildings have an attic space above them, which must be thoroughly checked and insulated to keep those who stay anywhere in the building safe and comfortable. Needless to say, in order to enjoy the best services you have to hire the best in the commercial maintenance services business. At Air Duct Cleaning Union City we understand both home and business owners and know their commercial needs. We also appreciate their time and money and know how to offer tailored solutions. No matter how much dirt, debris, dust or even mold have accumulated over the years, it's our team's mission to take care of it for you. We have the experience and equipment to make sure your attic is in top condition by the time we leave, be it at your home or business place! The first thing you need to do in regards to the cleanliness and hygiene of your commercial building is to check whether your attic is infested with rodents. Rats, mice and birds that live in your attic are a bad tell-tale sign that the area might be infected with bacteria. The solution for this problem is rodent proofing. We will send our professionals to solve the problem, find every hiding place of these pests and clean the attic from anything caused by them. If you already have insulation in your attic, and suspect the existence of rodents and other trouble makers, it's time to block all entrances by removing the old insulation. 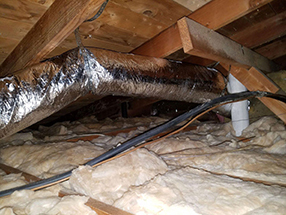 Only if you completely remove the old layer, completely clean the area, and then put in new material, will you enjoy ideal results and an air-tight insulated attic. Radiant barrier is a type of reflective insulation that prevents sun radiation from penetrating. It blocks out summer heat and keeps the heat inside during the winter. A perfect solution for any kind of structure to keep the tenants and the employees warm and comfortable! Installing a radiant barrier is one of our team's specialties. We will be more than happy to get the job done for you. Don’t delay any maintenance works for tomorrow. Show your clients, employees, and family that you care. Contact us today and find out more about our services!